Vietnamese culinary do not engage any points of complexity. There are so many popular cuisines can be made with simple recipes and they still possess gorgeous flavorings that travelers can easily have a taste of them right on the side of the road or in an upscale restaurant. However, due to this specifically simplicity, the subtle discrepancy by location and the dollish ingredients can indulge us in savoring those delicious dishes for more. 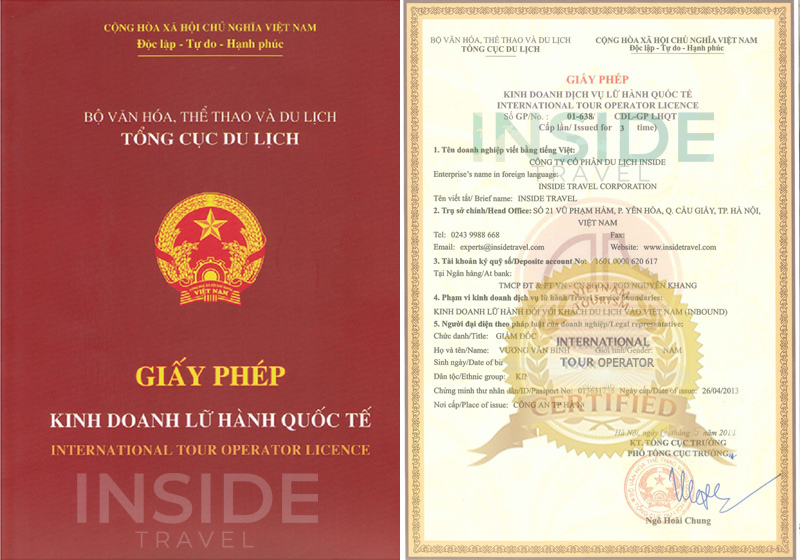 What makes Vietnam culinary so special? It’s because the traditional cooking is deeply appreciated for its fresh ingredients, the minimum of oil usage, and relying major on herbs and vegetables. In term of Asian’s culture, it is about the yin and yang, the sugary and salty, the cookery and heating as well as the fresh and fermented. 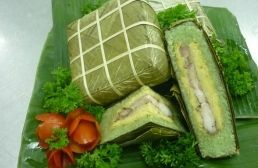 Therefore, Vietnam’s dishes are also considered as one of the healthiest food on the world. Despite the wide-ranging regions of Vietnam, every cuisine always depends on the balance between vegetables and meats together with an assortment of relish which bringsan excellent taste to the most demanding guests. Some people misunderstanding the Vietnamese foods’ simplicity with boredom, but it is never. 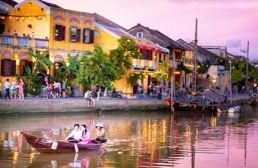 Wherever you travel to all the way throughout the country – Hanoi, Hue, Hoi An, Ho Chi Minh or the Mekong Delta, just take a few steps towards the local markets, restaurants or even along the sidewalks and you will easily catch up with tons of appetizing foods with different flavors. Dishes in Vietnam appear with a philosophical importance – the balance of five element correspondence: spices, organs, colors, senses and nutrients. 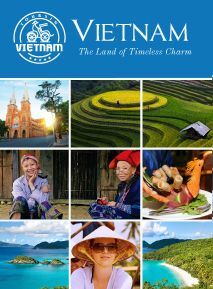 Additionally, the whole Vietnamese gastronomies are influenced by the mainstream culinary traditions in all three regions of Vietnam. The S shape of this skinny country has China to the north, Laos and Cambodia to the west and a part of Pacific Ocean to the east. Consequently, it is easy to understand why the north food is heavily influenced by China’s cuisines. When you move towards the south, the flavor is more blending with Thailand and Cambodia. 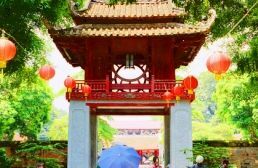 Besides, the tropical climate also creates more rice paddies, coconut groves, and herb gardens which are directly partake in the ingredients. Each region sustains its unique gastronomy to be proud of, which all form into the “erratic diversity of cookery”. Chinese and French had left their influence towards the local culture during the colonial time that added more vibrant essence to the culinary. It will be hard to compare specific features of dishes from each region while travelers can soon find out that there is more than one a capital of food in this skinny country. 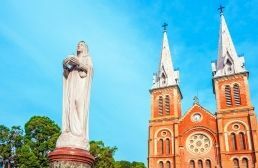 Coming to Hanoi, you will have chance to taste authentic and original food, while Hue offers its royal trait and Ho Chi Minh provides some of the most wide-ranging place for dining.